Conair Corporation’s Cuisinart brand competes toe to toe with any other high-end home appliance brand in the USA. 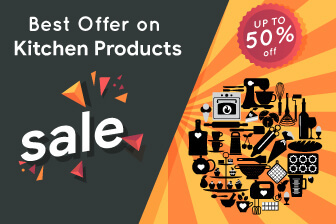 Cuisinart specializes in a diverse range of home appliances, besides a range of programmable coffee makers. Consequently, a coffee maker form Cuisinart can be found in almost every American household. Moreover, people have started to cognize the health benefits of consuming coffee in controlled dosages. Hence, I’m pretty sure that many of you either may already own a Cuisinart’s coffee maker at home or are willing to get one. Anyway, lets clear this out first: “All coffee makers at home need to be descaled periodically”. Regardless of their build quality, you need to conduct regular cleaning bouts. So, if it’s time for you to perform the ritual and you’re confused how to, give this write-up a thorough read. Begin with the nozzle. Try to remove any calcification that might have built up inside the nozzle of the appliance from where the coffee is poured. 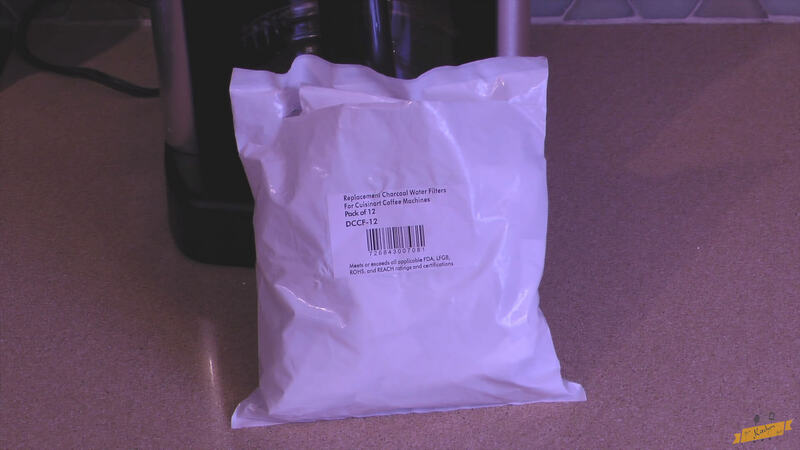 You can achieve this by pouring 4 cups of diluted white vinegar in the coffee maker and brewing it on an empty filter. Building up of calcium scales over time can contaminate your coffee or hinder the transference of coffee from the nozzle to the decanter. Keeping it clean permits an even flow of coffee to your cup or decanter. Let the vinegar do it’s job for 30 minutes. Once the time is up, evacuate the coffee maker and rinse the decanter with clean water. Repeat the same process a couple of times with clean water. Also, do not forget about the exterior. Gently scrub the machine’s exterior with a wet soapy sponge or a rag and then carry out with a damp cloth or sponge. Then again wipe it dry. This will keep your machine durable and neat. Rinse your decanter every time after use with soapy water. This will keep the decanter long-lasting and prevent any germs to reside. 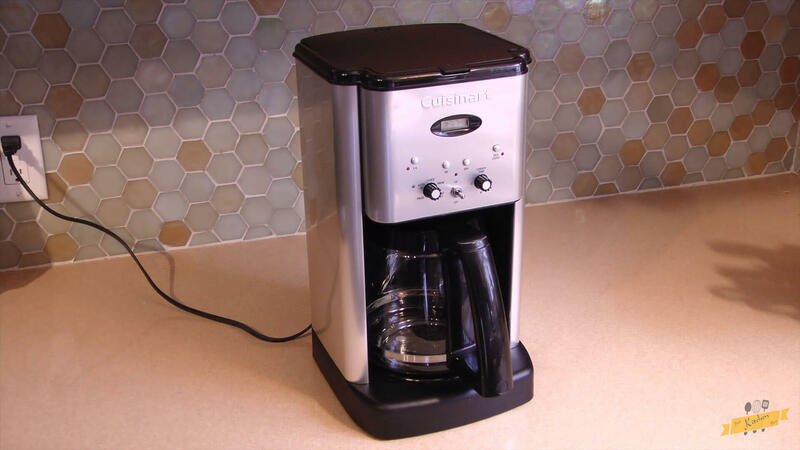 Cuisinart also produces programmable coffee makers and programmable Grind & Brew coffee makers. These coffeemakers come with self-clean button option (refer the picture below). 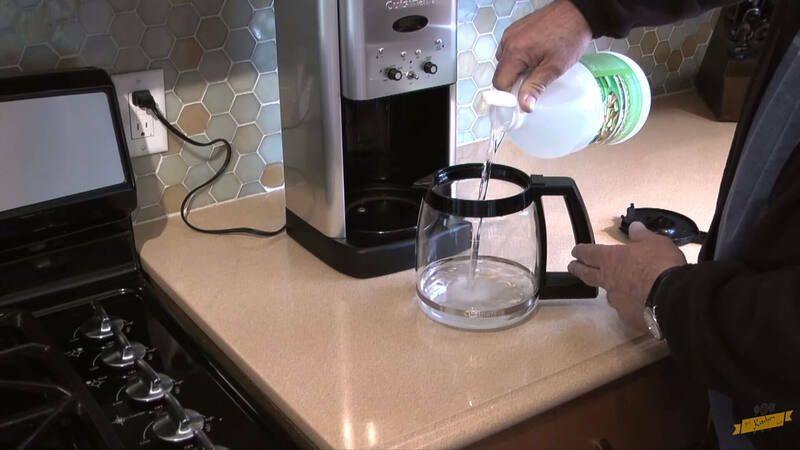 Follow these steps to thoroughly clean these programmable coffee maker machines. Step 1: At first, soak the new charcoal filter in cold water for about 15 to 20 minutes. Step 2: Take out the water filter holder from the reservoir. Pop open the water filter holder and discard the old and used charcoal filter from it. Step 3: Fill the decanter with a solution of water and vinegar mixture in the ratio of 2:1. Then pour this diluted solution into the reservoir of the machine. Place the decanter in its position to pour coffee. 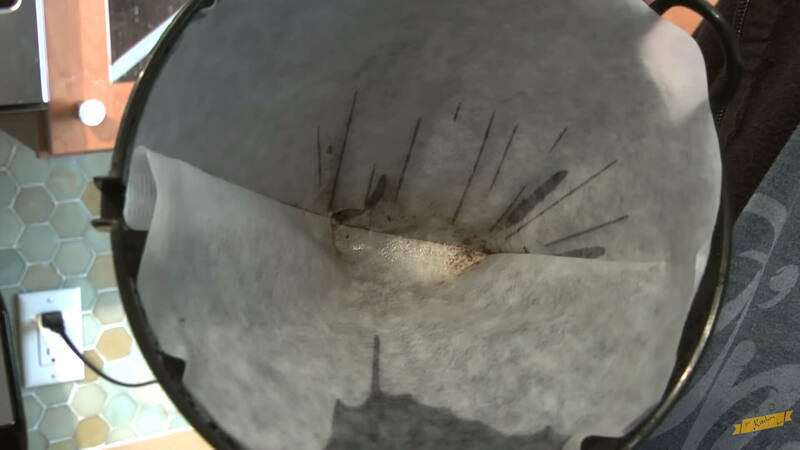 Then place a clean coffee filter to the filter basket. Step 4: Close the lid and press self-clean button. Turn on the appliance and the coffee maker is on its cleaning mode. The cleaning process takes a bit longer time than brewing process. Step 5: Discard the hot water from the decanter and let it properly cool down to room temperature. Step 6: Discard the filter paper and place the filter basket back to where it sits. Step 7: Fill in the decanter with clean cold water and add it into the reservoir. Let it run through the cleaning process. When it is done, discard the water from the decanter and turn off the appliance. Step 8: Put the new charcoal filter into the filter holder and snap it close. Take the end of the filter holder with the charcoal filter inside and run it under cold tap water for a couple of seconds and let the filter drain for some minutes. Step 9: After the filter is drained, slide the water filter holder back into the coffee maker. That’s all. Now your Cuisinart coffee maker is clean and fresh. Note: Cuisinart recommends replacing the charcoal filter for about every 2 months for best results. Cuisinart has introduced multiple Grind & Brew coffee makers that serve combined functions of grinding fresh coffee beans along with brewing your favorite blend of coffee. Follow these steps to deep clean your Cuisinart grind and brew coffee maker. Open the tank’s lid and take out the grinder basket from the appliance. Open the filter basket door and dislodge the filter basket, its cover and its holder. Also, take out the reservoir lid. Gently scrub the removed parts with warm soapy water. Then rinse with clean water and wipe them dry with a clean cloth or rag. Now it’s time to clean the coffeemaker’s exterior part and also the area where the grinder basket sits. Give the exterior and the grinder basket’s area a gentle scrub with a soapy sponge and then wipe with a clean damp cloth. Then again wipe it dry with a fresh dry cloth. Take out the decanter and wash it thoroughly under running tap water. You could also give it a soapy wash prior to rinsing with clean water. Wipe it completely dry after cleaning. With a clean damp cloth, wipe the part of the coffeemaker where the decanter sits. If needed, give it a gentle soapy scrub to eliminate stubborn coffee marks. Do not forget to wipe this area completely dry after cleaning. Just like said earlier, pour water and vinegar solution into the coffeemaker’s reservoir. Switch on the appliance and let it start its cleaning process. Switch it off and dispose off the diluted solution. Then pour clean water into the reservoir and let it pass through the cleaning process again. Repeat the process of decalcification if necessary. Note: Always use clean filtered water instead of normal tap water during this descaling process. We hope this comprehensive guide provided you with clear instructions on how to clean a Cuisinart coffee maker. Let us know in the comment section below if you are left with any queries.